Futura, dubbed the godfather of contemporary street art, will make his Southeast Asian debut in Singapore come 30 May 2019. Presented by The Culture Story and curated by Singapore’s leading pop artist Jahan Loh, CONSTELLATION marks the street culture legend’s first ever solo exhibition in the region. Hailing from the birth of the graffiti art movement, in the early 1970’s Futura began ‘bombing’ trains in his hometown of Brooklyn, New York. Alongside his contemporaries, including iconic names such as Keith Haring and Jean-Michel Basquiat, he later took his distinctive abstract graffiti style from the streets and onto the canvas, showing in galleries around the world. Over the past forty years, Futura continuously pushed the boundaries of street art and painting, and has earned recognition internationally for his authentic style which has evolved beyond traditional forms of graffiti. The exhibition will showcase 30 specially commissioned pieces created during a two week-long residency at The Culture Story. 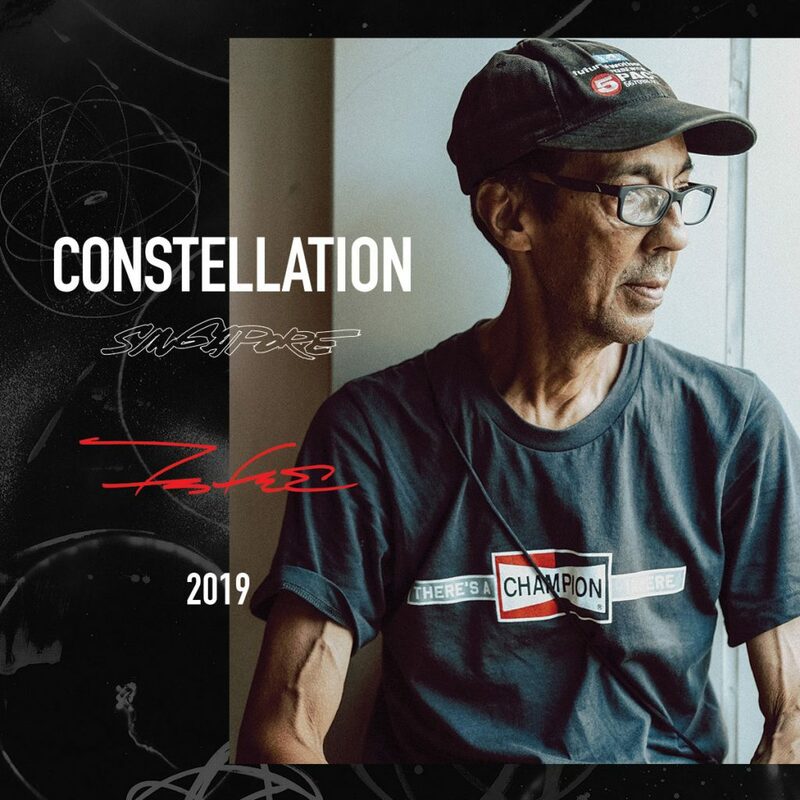 CONSTELLATION delves into Futura’s inner universe and celebrates his pioneering spirit for inventing new spraying techniques, including his most iconic and signature move, the inverted spray. Utilising a range of materials coupled with finely tuned techniques, this unique series of works demonstrates that Futura’s visual style transcends cultural and physical boundaries – where expression and style, restraint and spontaneity, splatters and control, provide poetic contradiction. The bold, vibrant compositions are marked by a repertoire of forms and iconic motifs he has come to be known for – characters, atoms and cranes. During the exhibition, a limited-edition catalogue stashed in custom designed ammo boxes will be available for purchase. In addition, The Culture Story will also be organising a fringe event to complement the exhibition on Saturday, 01 June 2019. “Futura: 60 minutes with the street art legend”will feature a debut screening of a new mini-documentary on Futura’s career, followed by a dialogue session and after-party at The Projector and Intermission Bar, click here to buy tickets. For overseas visitors – pls contact us directly for friendly hotel rates to stay at Regent Singapore.